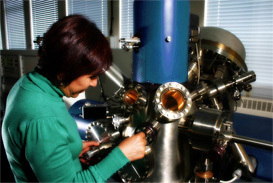 Access to high resolution, high sensitivity surface analysis techniques including X-ray Photoelectron Spectroscopy (XPS), Auger Electron Spectroscopy (AES) and Secondary Ion Mass Spectrometry (SIMS), together with some of the World’s leading Experts to help you solve all your material problems. The Midlands Surface Analysis Team has over 30 years’ surface analysis experience, working closely with industrial partners including Automotive, Aerospace, Medical Device, Semi-conductor, Construction and Packaging Industries. 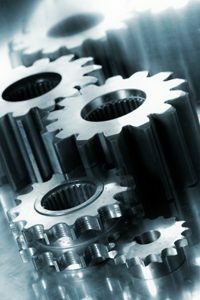 We use a complete range of highly surface sensitive techniques to solve some of industries most difficult problems in, for example, failure analysis, contamination, adhesion, corrosion and biocompatibility issues. The composition and structure of the outermost layers of a surface have a profound effect on the properties and performance of materials and systems in an increasingly wide range of technological and nano-technological applications. Compositional, chemical and physical analysis of these first few atomic layers has proved invaluable in the characterisation and understanding of the surface properties of materials and providing solutions to industrial problems. XPS, AES and SIMS can be applied to virtually all materials including metals, glasses, ceramics, semiconductors and polymers and in the study of processes such as catalysis, adhesion, corrosion, diffusion, oxidation, segregation, surface contamination and tribological interactions. Our equipment provides the ultimate in sensitivity, spatial resolution and energy resolution which together with powerful data collection and processing computer systems allows unequalled, unequivocal and accurate analysis of surfaces and surface interactions. Our range-of-techniques are available at competitive prices with rapid turnaround and sample throughput. We always provide our customers with detailed data interpretation and a comprehensive report describing all results and suggesting solutions.